Chicago LED specific to City of Chicago code requirements. 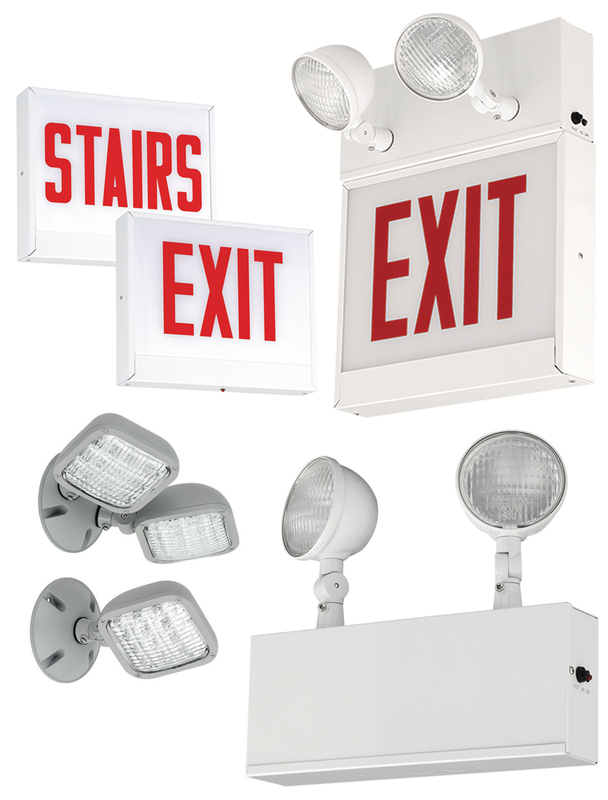 The City of Chicago requires Chicago rated metal and glass units. 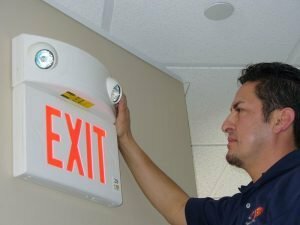 The National Electrical Code, NEC is the benchmark for safe electrical design, installation, and inspection to protect people and property from electrical hazards. 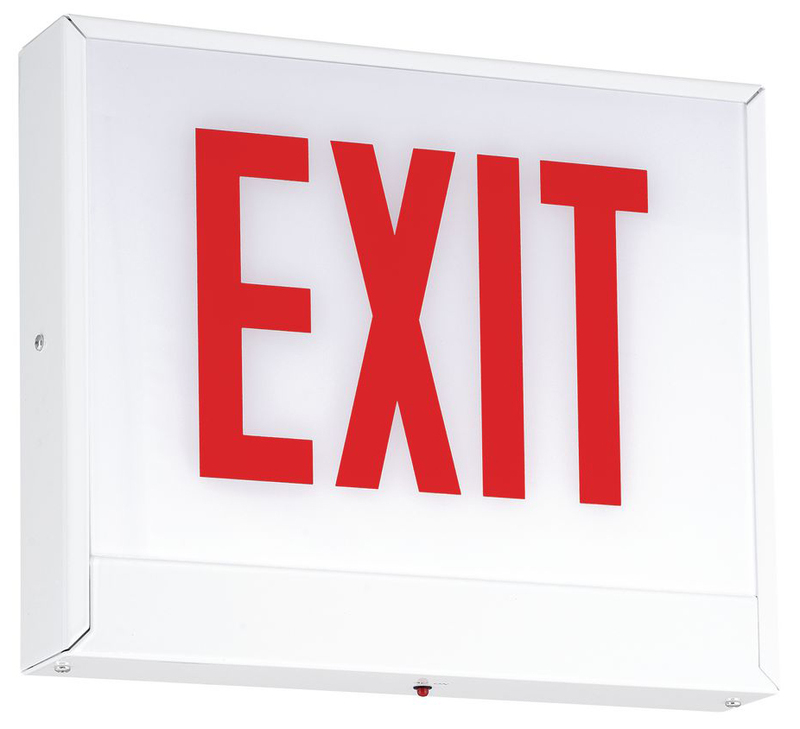 In Chicago, the NEC is superseded by the Chicago Electrical Code. 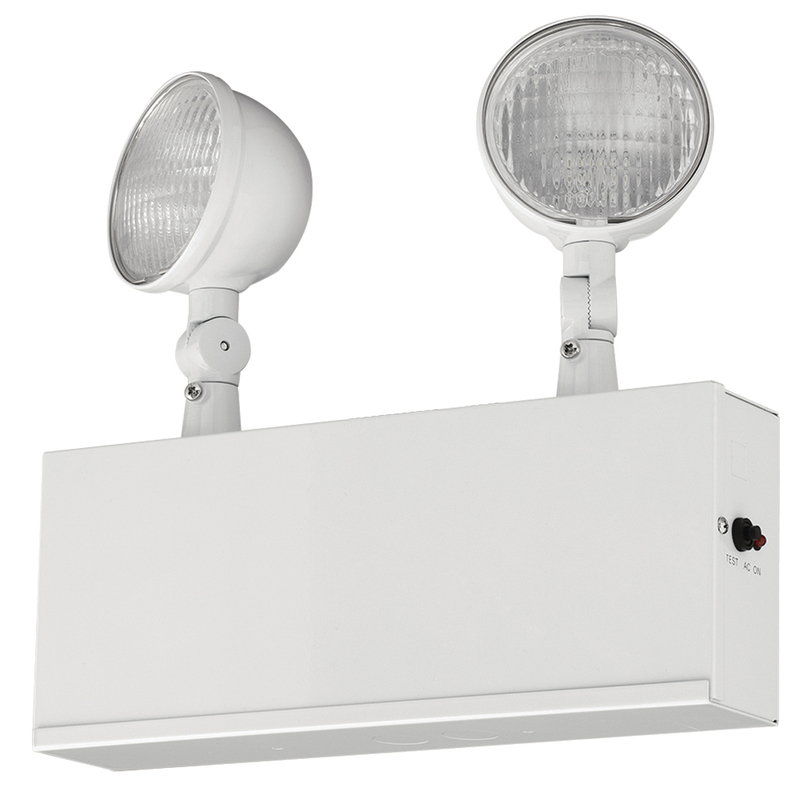 The CCU2 Series offers emergency lighting for commercial applications. 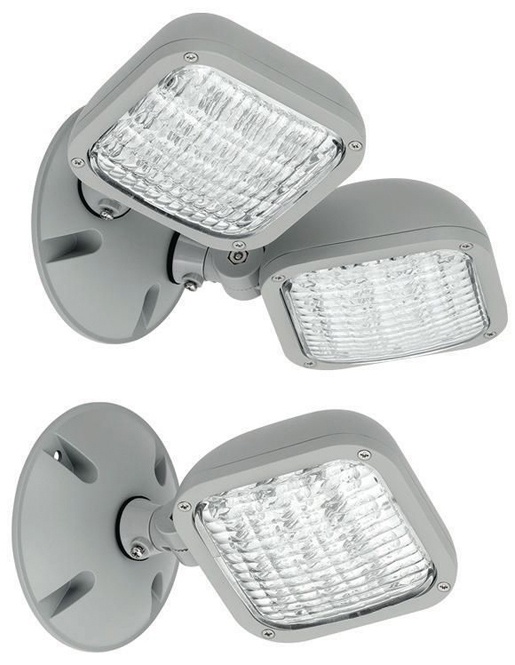 The housing is made of durable 20-gauge steel providing strength and durability. 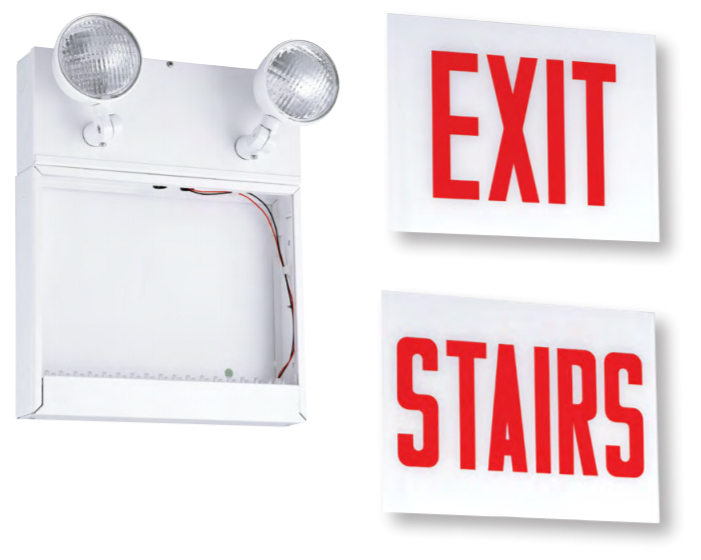 AC power on LED indicator with push-to-test switch. Meets City of Chicago code requirements. 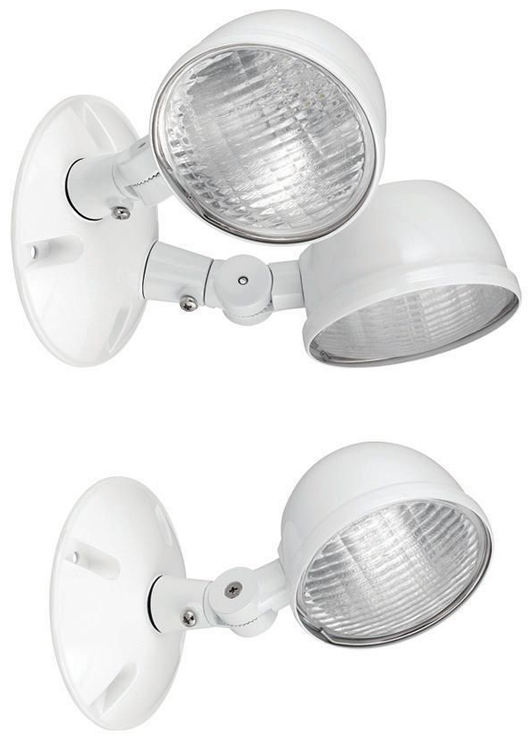 Illumination: Two 6V, 5.3W Lamp heads in white finish are adjustable standard. 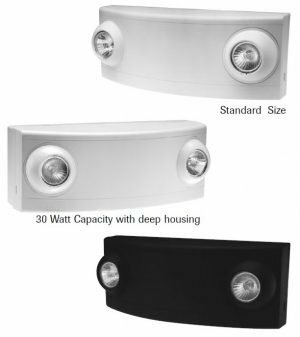 Remote capacity option for 20W models. Will run two LED CRH heads. 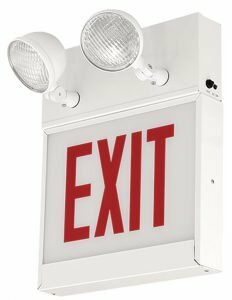 The CLSC Series is a Chicago Approved combination exit/emergency light that uses 2 each 5.3W adjustable white LED lamp-heads to provide emergency lighting for the required 120 minutes. 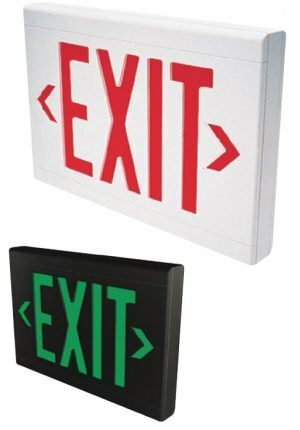 The CLSC can be wall mounted by use of a back-plate, which includes a universal knock-out pattern or ceiling/end mount by use of a supplied canopy. 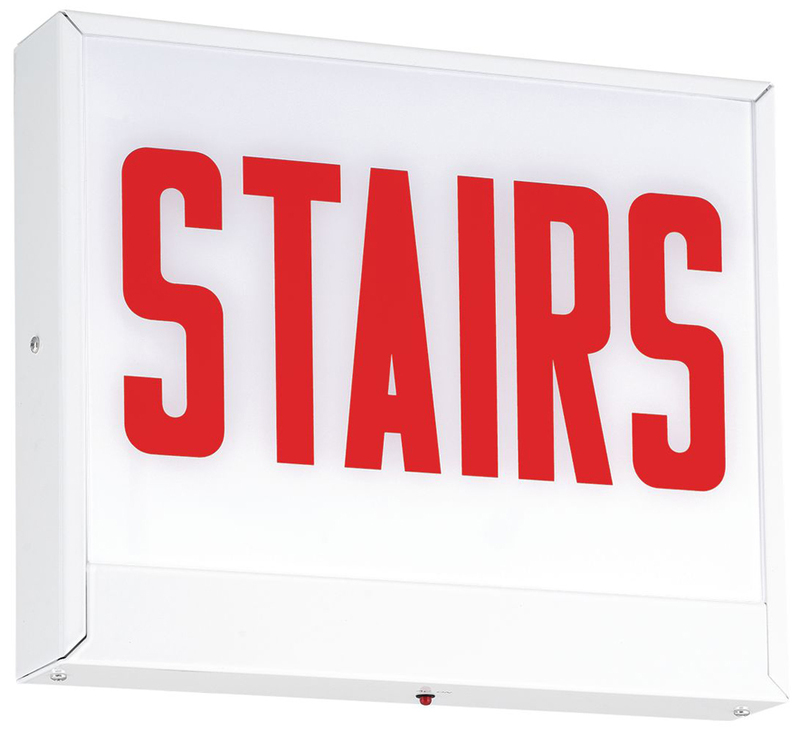 Available with 6” tall, ¾” stroke STAIRS or EXIT red lettered panels in single or double-face. Housing made of durable 20 gauge steel with panels made of glass. 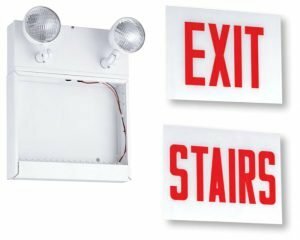 The CLS Series offers bright and even LED “EXIT” or “STAIRS” panel illumination with Red letters and heavy gauge, durable steel housing. 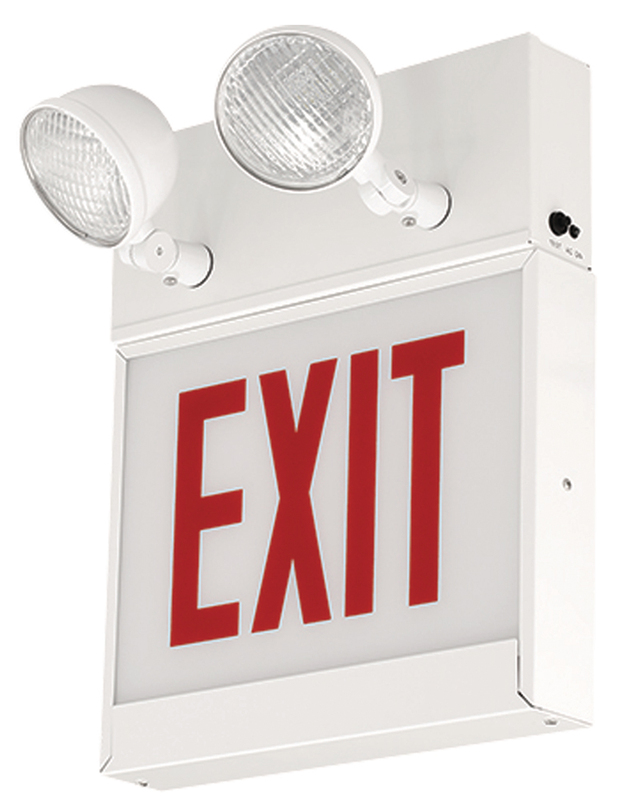 Features include AC or Emergency operation in single or double face. 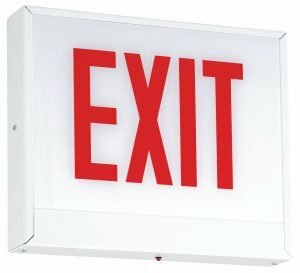 120/277VAC input. 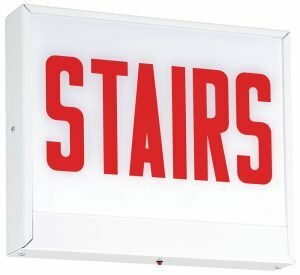 Meets all Chicago code requirements.